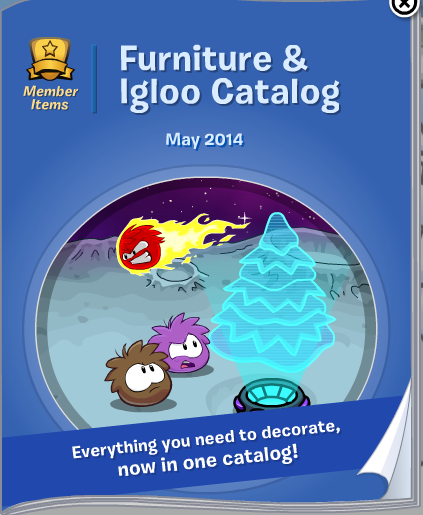 Club Penguin has released their latest furniture and igloo catalog for the month of May 2014. 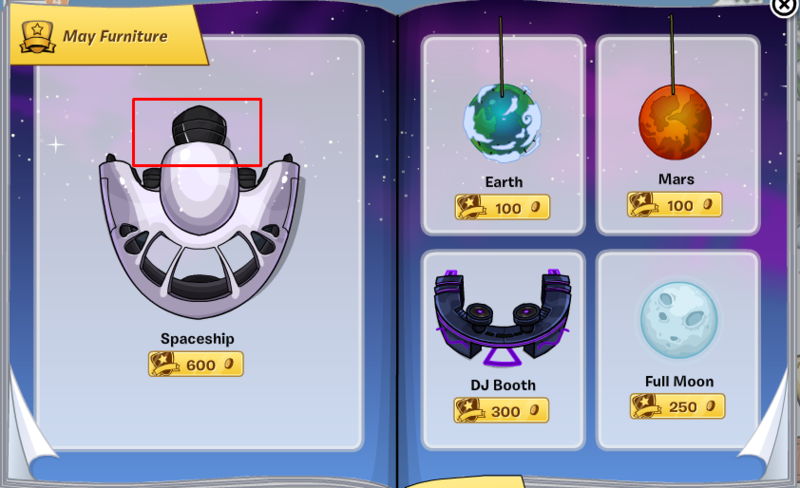 I have all of the Club Penguin cheats for this catalog! The theme this month is futuristic. 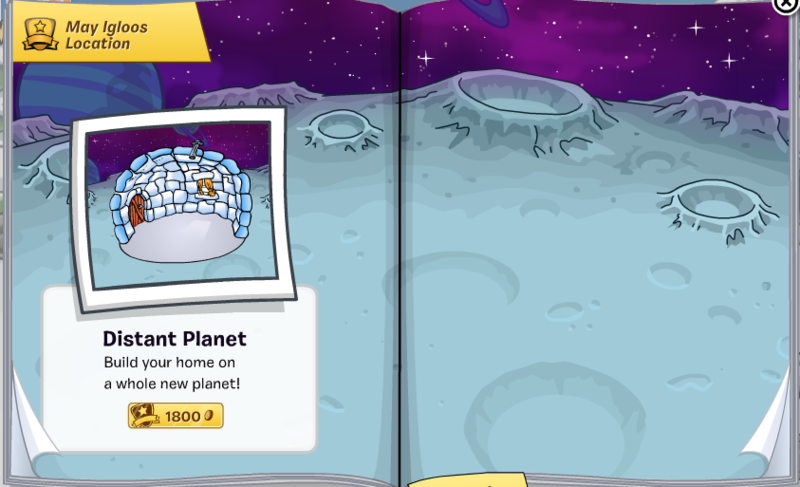 They've included a new igloo background to make your igloo look like it's on the moon! 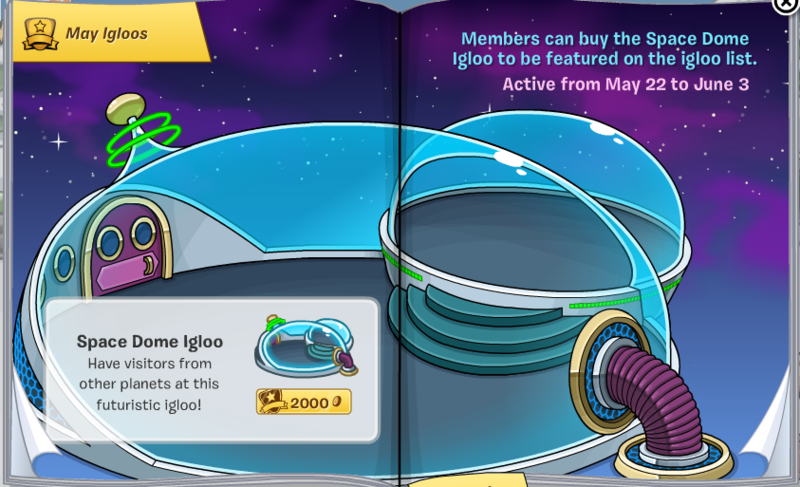 Along with the new igloo background Club Penguin has made a new type of igloo available to us. Now time for Club Penguin cheats! 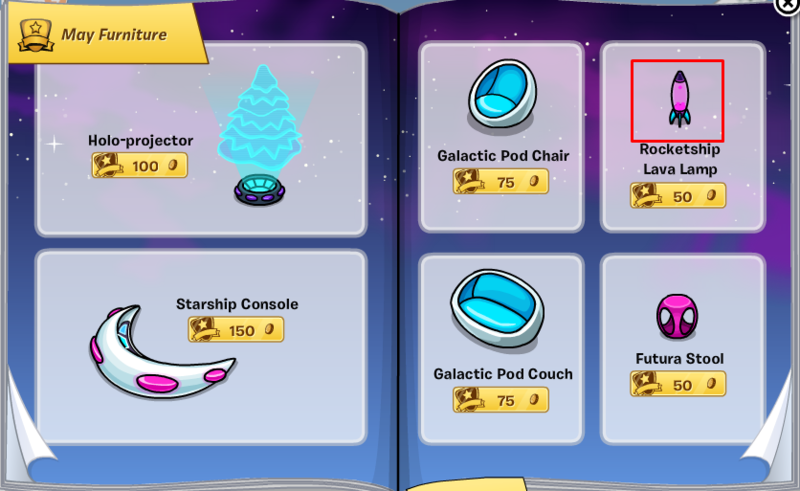 I'll reveal where the secret hidden items are in the catalog. 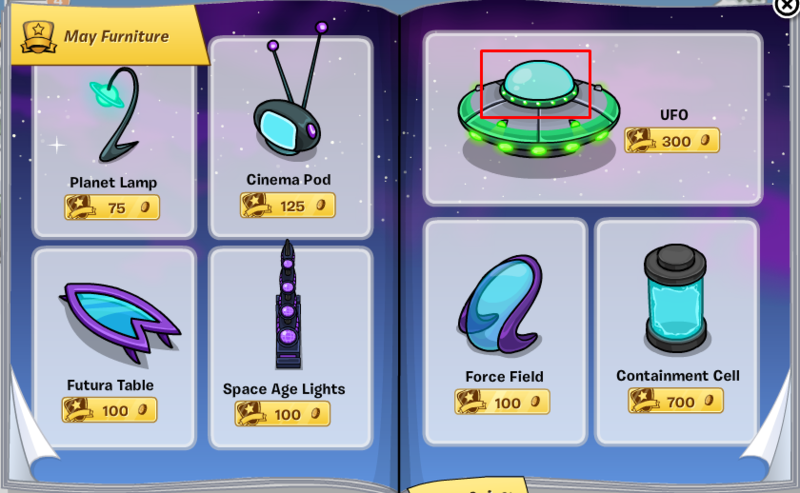 I'll put a red square around wherever the hidden item is.